Las Vegas in June is hot, but still fun. In fact, it doesn't matter what time of year it is, people in Las Vegas will typically have a good time. Aspen is hoping attendees at Amazing Las Vegas Comic Con have a memorable time as well, setting up shop at the show at booths #317 and #416. 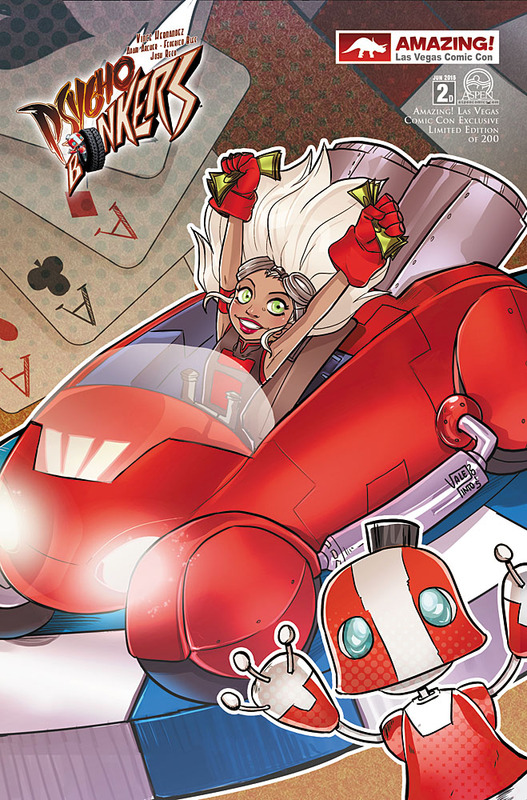 The publisher will be making an appearance concurrent with their appearance at Supanova Sydney. Vince Herndandez, Josh Reed, Tom Hutchison, Eric Basaldua and Jordan Gunderson will all be in attendance, as will two Amazing Las Vegas exclusive variant covers: Fathom: Blue #1 by Eric Basaldua and Psycho Bonkers #2 by Valentina Pinto. The latter book is making its official debut at the convention and will not be available in stores until the following Wednesday, June 24th. Hernandez, the writer of both series, will be available for signing throughout the weekend. 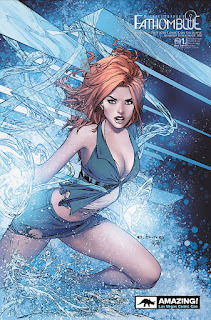 Aspen will also have a selection of their industry-leading prints with them, including a full-size version of the Amazing Las Vegas Con Fathom: Blue #1 exclusive. Visit the booth for official run numbers and other convention exclusive prints. Editor-in-Chief Vince Hernandez, letterer Josh Reed, Big Dog Ink’s Tom Hutchison, Eternal Soulfire and Fathom Blue cover artist Eric Basaldua, and The Four Points series artist Jordan Gunderson will be in attendance at booths #317 and #416. With them, they’ll have two Amazing Las Vegas exclusive variant covers: Fathom: Blue #1 by Eric Basaldua and Psycho Bonkers #2 by Valentina Pinto.